“You thought you did everything right—gathered market research and consumer insights; brainstormed, prototyped, and tested a promising new idea; developed detailed financial models and a solid marketing plan. Yet your company’s new product or service didn’t perform as expected. What did you overlook?” ask McKinsey’s Maria Capozzi, John Horn, and Ari Kellen, writing in McKinsey’s quarterly Outlook. 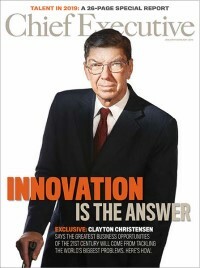 The senior experts in McKinsey’s Boston and Washington offices respectively and the consulting firm’s director of its New Jersey office, reckon most innovation failure from the seemingly small misperceptions in the marketplace as to what competitors do and how they react to your new product. For example, discounts prices tend to encourage customers to stock up on its product rather than try yours, ties up distributors so you can’t get shelf space, or duplicates your service to dissuade consumers from switching. Oftentimes, competition makes it hard for players to identify such threats, because the tendency to overlook rivals is deeply ingrained in human behavior. It’s a natural human bias. They cite the case of a consumer-electronics company that was debating the mix of components and features to include in the next version of an important product. Advances in the underlying technology meant that the launch, planned for the following year’s holiday season, could well represent a significant upgrade that would influence several generations of the product. The company ran an in-depth war game over three days where, cross-functional teams of product designers, marketing and sales experts, and supply-chain managers, assumed the roles of executives at a leading rival company. Armed with such insights, the electronics company identified a number of moves it could make to seize the initiative—including partnerships, bets on particular technologies, and an attractive, untapped consumer segment it could target to spur growth. As it happens several of the game’s predictions did materialize, with the competitor maneuvering as expected with its new product. But the electronics company was ready with its own updated product which went one to sell more units than the competitor did over the following holiday period in question. Additional insight provide by the war-gaming process gave the electronics company added advantage. Rather than having to incorporate the very latest technology, in some cases, an older—and cheaper—one was more than adequate. This helped when subsequent sourcing and pricing decisions. Which product classes will face the most competition, and will supply-side dynamics or customer demand drive it?